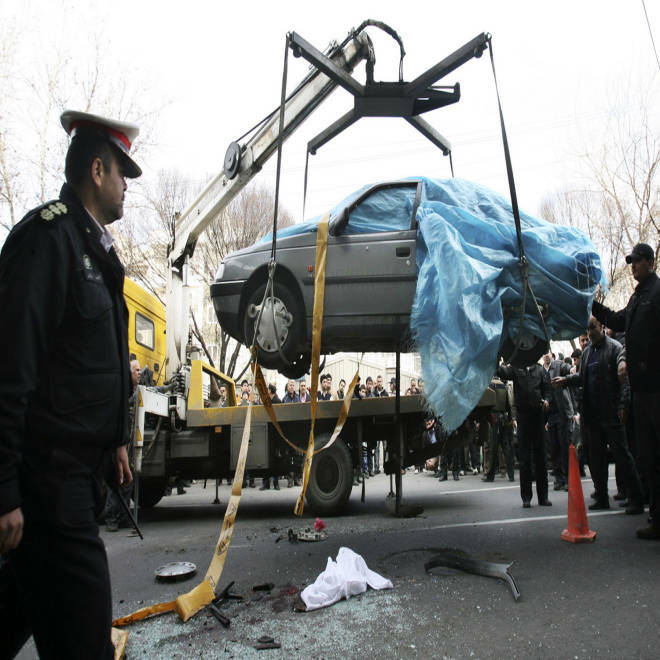 A car that was bombed by two assailants on a motorcycle in Tehran on Jan. 11, killing Iranian nuclear scientist Mostafa Ahamdi Roshan, is removed by a mobile crane. The photo was distributed by the semi-official Iranian photo agency Fars. As it has in the past, Israel’s Foreign Ministry declined comment. Said a spokesman, "As long as we can't see all the evidence being claimed by NBC, the Foreign Ministry won't react to every gossip and report being published worldwide." "There has never been and there is no MEK member in Israel, period," he said. "The MEK has categorically denied any involvement. The idea that Israel is training MEK members on its soil borders on perversity. It is absolutely and completely false." 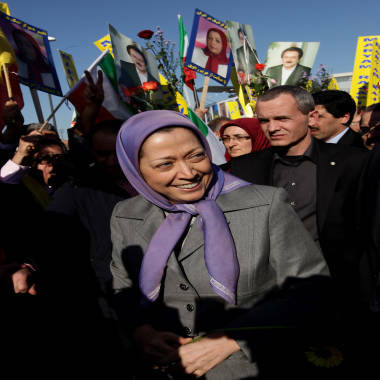 For the United States, the alleged role of the MEK is particularly troublesome. In 1997, the State Department designated it a terrorist group, justifying it with an unclassified 40-page summary of the organization’s activities going back more than 25 years. The paper, sent to Congress in 1994, was written by Wendy Sherman, now undersecretary of state for political affairs and then an aide to Secretary of State Madeleine Albright. 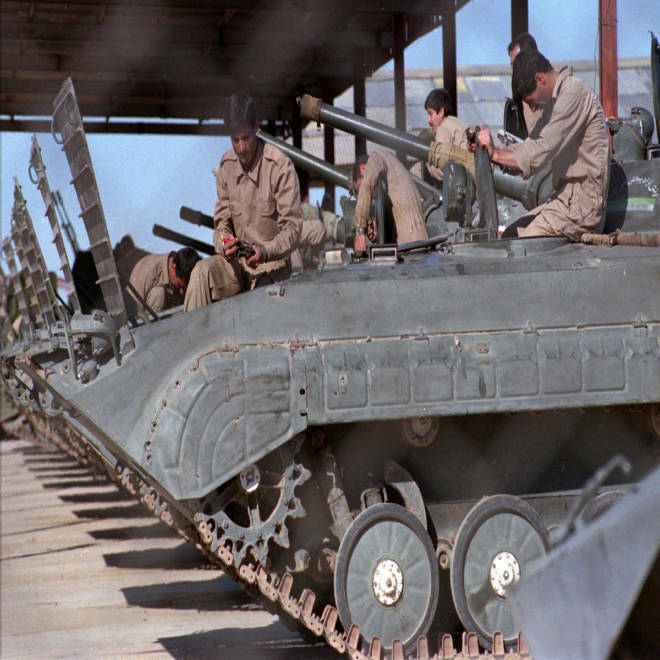 “In the post-revolutionary political chaos, however, the Mujahedin lost political power to Iran's Islamic clergy. They then applied their dedication to armed struggle and the use of propaganda against the new Iranian government, launching a violent and polemical cycle of attack and reprisal." “Meir Degan, the chief of Mossad, when he was in office, hung a photograph behind him, behind the chair of the chief of Mossad,” notes the Israeli commentator. “And in that photograph you see -- an ultra-orthodox Jew -- long beard, standing on his knees with his-- hands up in the air, and two Gestapo soldiers standing -- beside him with guns pointed at him. One of -- one of them is smiling. “And Degan used to say to his people and the people coming to visit him from CIA, NSA, et cetera, ‘Look at this guy in the picture. This is my grandfather just seconds before he was killed by the SS,’” Bergman said. “’… We are here to prevent this from happening again.’"
Richard Engel is NBC News' chief foreign correspondent; Robert Windrem is a senior investigative producer.